On Tuesday, July 2, 2013, Julian “Dauntae” Johnson signed his letter of intent to become the first player to join Florida National University’s Men’s Basketball Team. The 6’4” and 190 lbs Point Guard hails from East Bradenton, Florida. 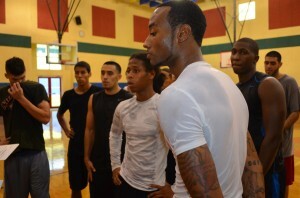 Dauntae graduated from North Port High School where he played varsity basketball for 4 (four) consecutive years. While at North Port, Dauntae was nominated for the Top 100 Players in Florida and was placed on the All-Area Team. In his senior year, Dauntae averaged 15 points, 5 rebounds and 5 assists per game. 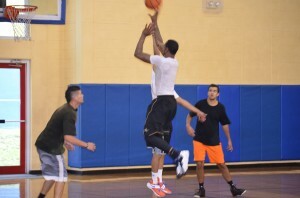 After high school, Dauntae went to State College of Florida (SCF) where he played a considerable amount of time as a freshman and sophomore while leading SCF to the state finals in his sophomore year. Dauntae signed with Florida National University (FNU) because of the University’s history of providing quality education, small class sizes, professors with real-world experience and the opportunity to be a impact player on a newly formed team. In addition, Dauntae wants to be part of history as FNU establishes its’ first-ever Athletic Department and Basketball Team. FNU Point Guard Dauntae Johnson. Dauntae comes from a family of athletes. His father, Julian Walter Johnson, played high school football and basketball in his hometown of Bradenton. In college, Mr. Johnson was a Wide Receiver for the Louisville Cardinals. His mother, Gloria Santiago also from Bradenton, enjoys playing volleyball, cooking, shopping but most of all watching her son play. Dauntae’s decision to join the team. He sees an impact player in Dauntae as he is an experienced college basketball player who can adapt to positions and roles within a team setting. “He has the capability of being an impact player right away for our team. 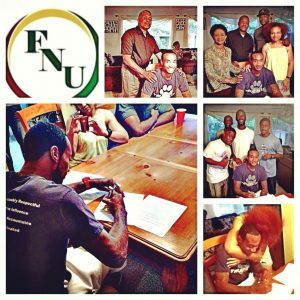 FNU is excited and honored to have such a dedicated young man join our campus community,” said Schmidt.